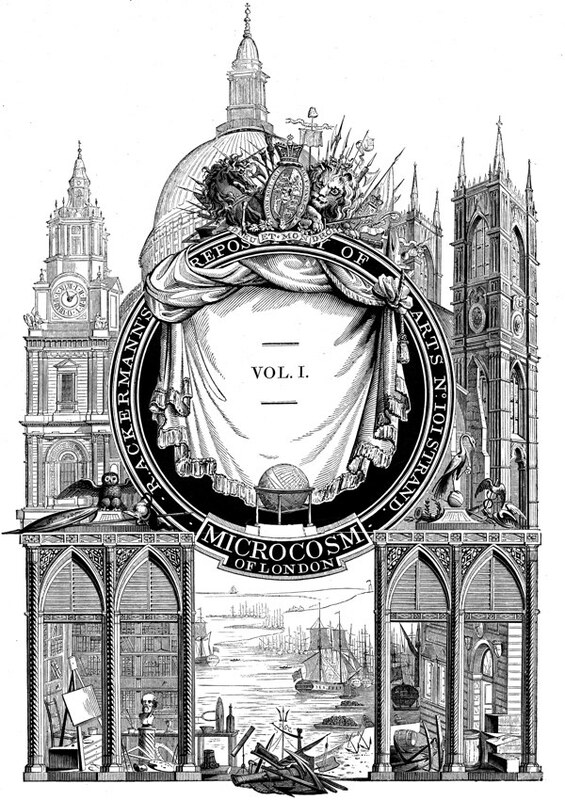 In 1897, Charles Gosse, the first archivist at the Bishopsgate Institute, was lucky enough to buy a handsome 1809 edition of all three volumes of Thomas Rowlandson and Augustus Pugin’s “Microcosm of London” from Quaritch booksellers in Piccadilly with just one plate missing, yet it took him until 1939 to track down a replacement to fill the gap and complete his copy. And the single plate cost him more in 1939 than the entire three volumes in 1897. Then, unfortunately, the volumes was stolen in the nineteen eighties but, thankfully, returned to the Bishopsgate intact years later as part of Operation Bumblebee, tracking art thefts back to their owners – and just waiting on the shelf there for me to come upon them last week. 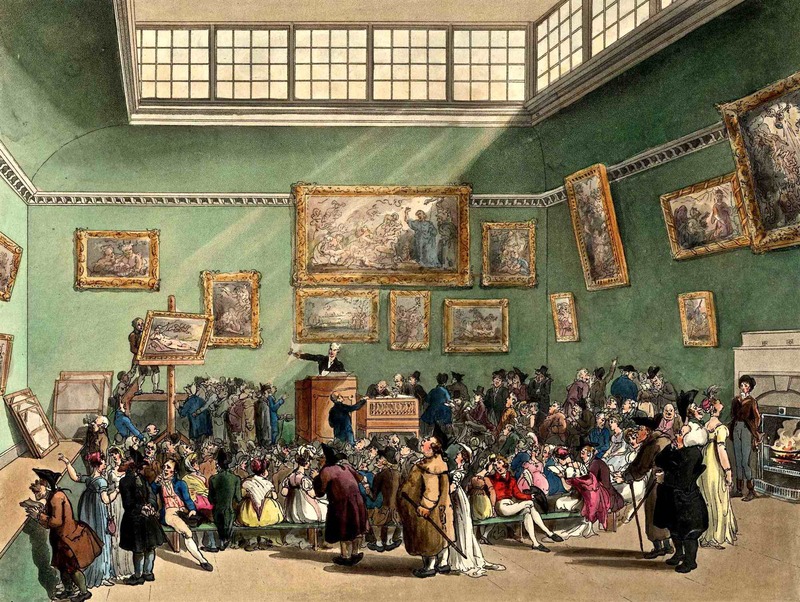 Augustus Charles Pugin, the architectural draftsman (and father of Augustus Welby Pugin who designed the Palace of Westminster) had the idea to create a lavish compendium of views of London life but it was the contribution of his collaborator Thomas Rowlandson which brought another dimension, elevating these images above the commonplace. 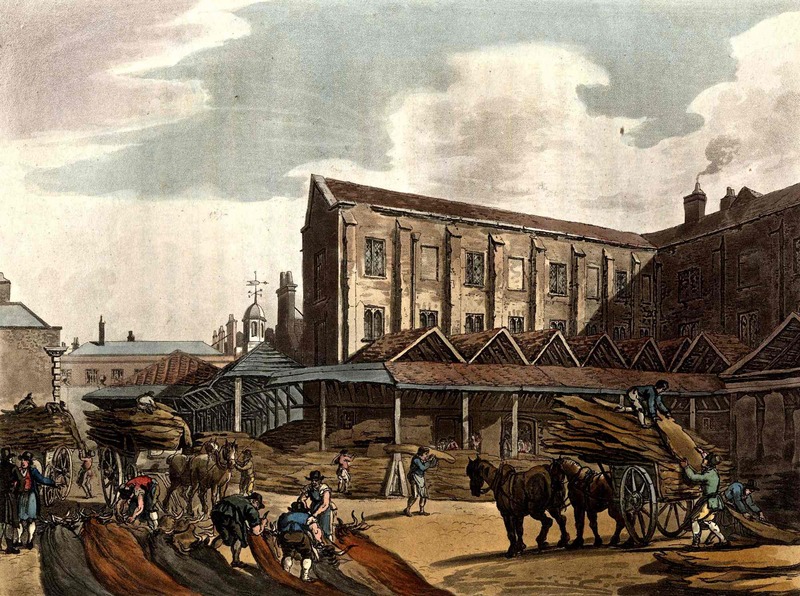 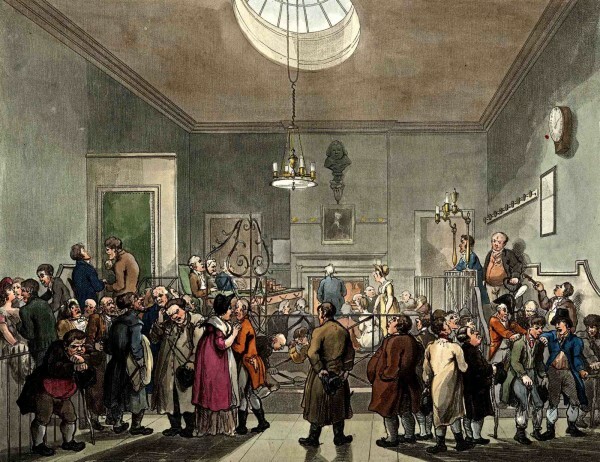 While Pugin created expansive and refined architectural views, Rowlandson peopled them with an idiosyncratic bunch of Londoners who take possession of these spaces and who, in many cases, exist in pitifully unsentimental human contrast to the refinement of their architectural surroundings. 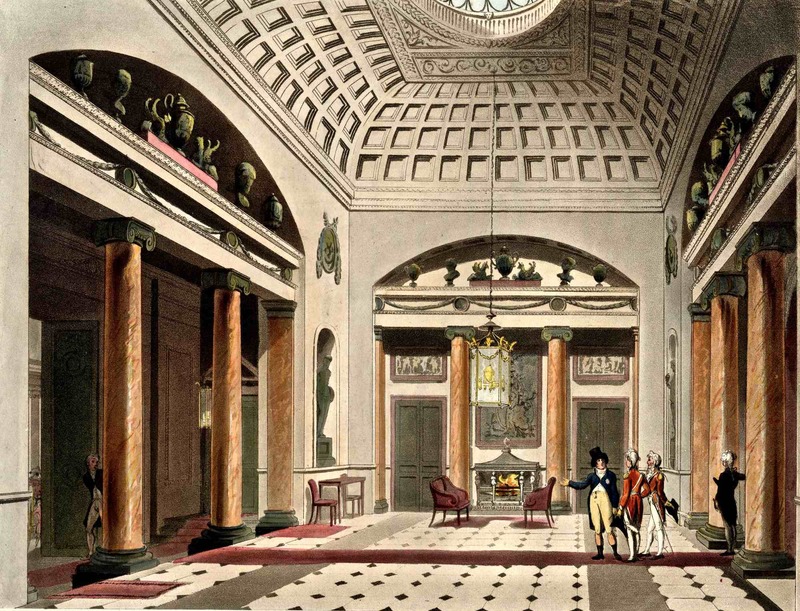 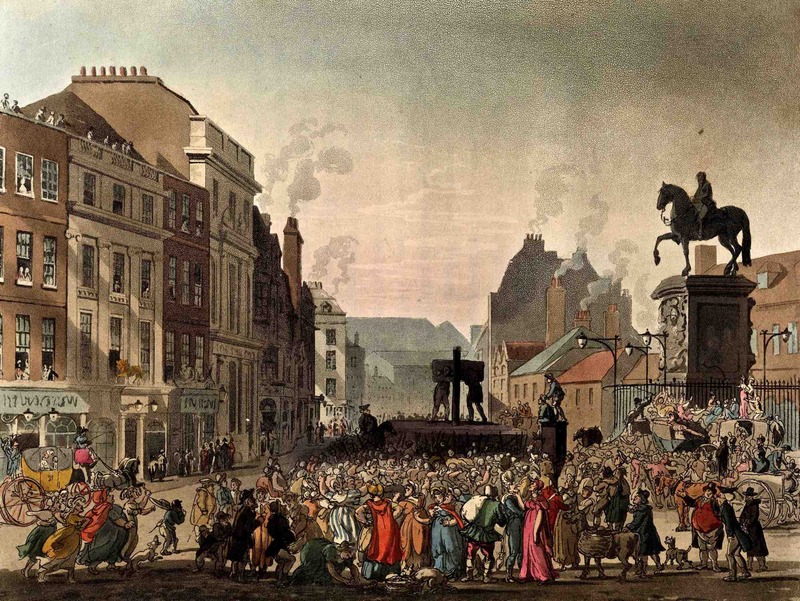 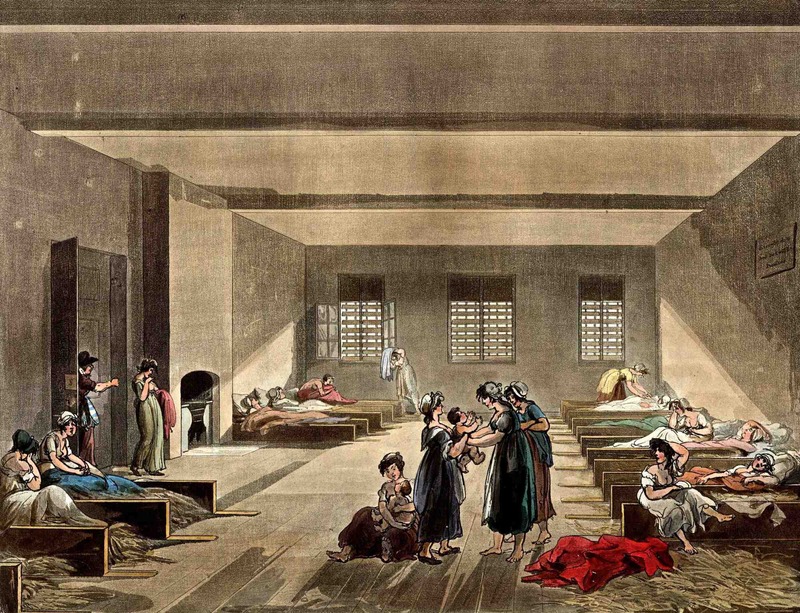 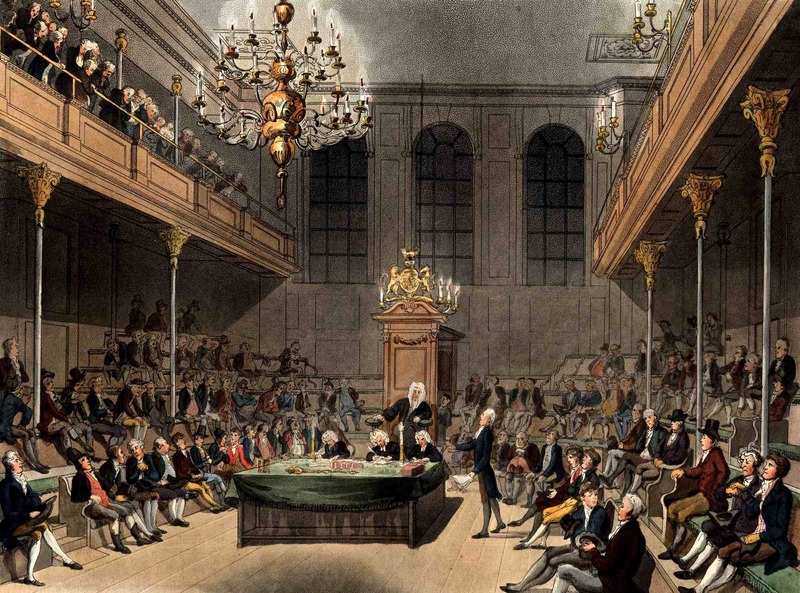 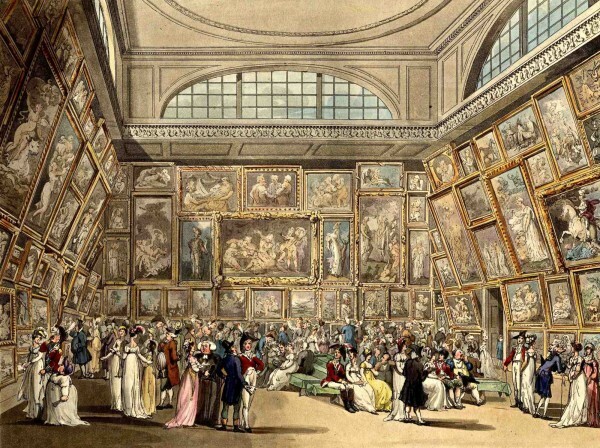 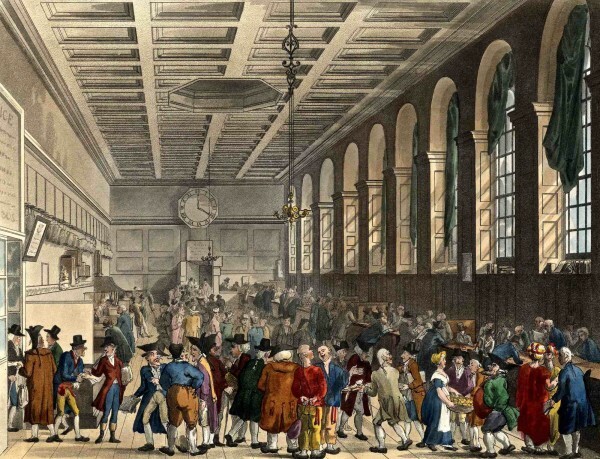 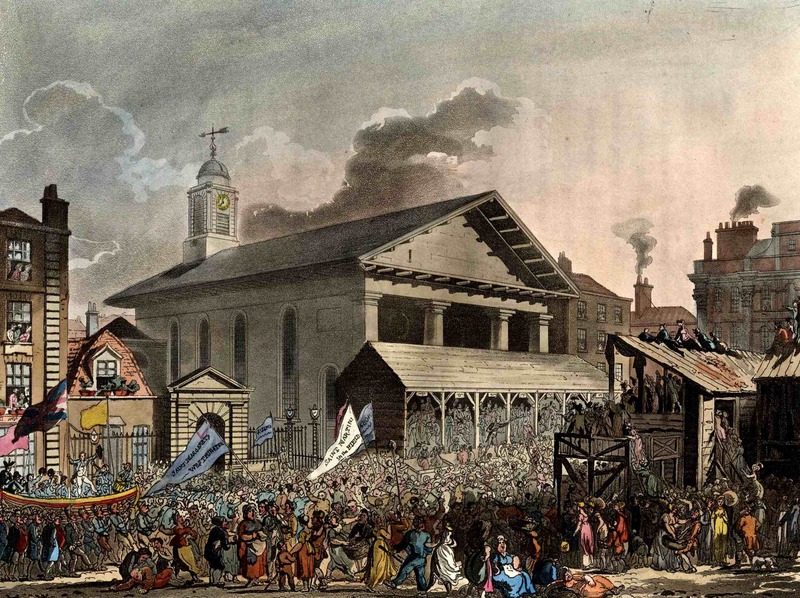 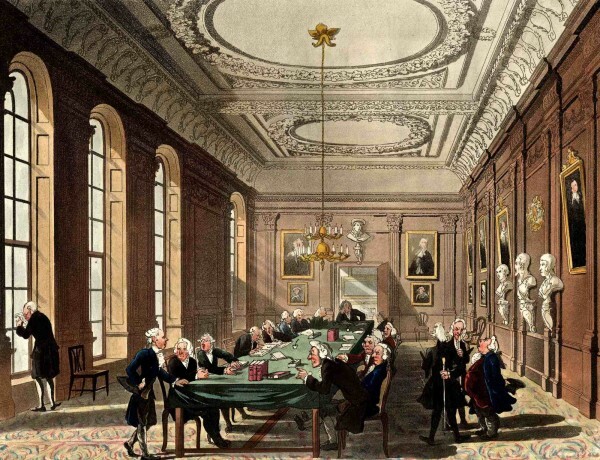 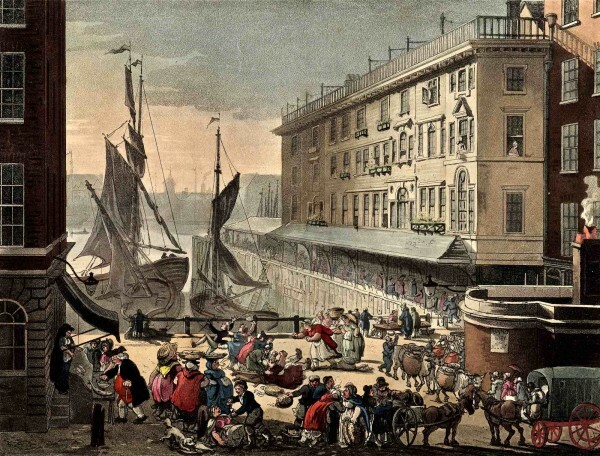 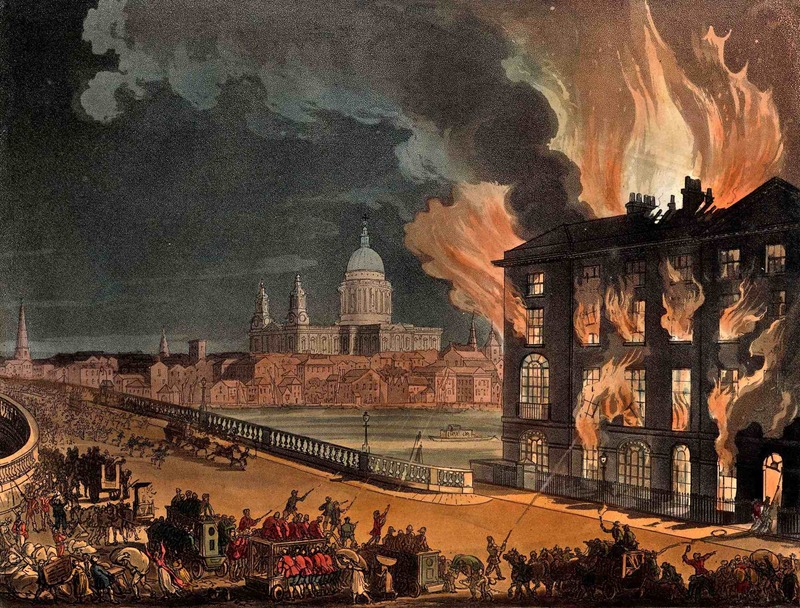 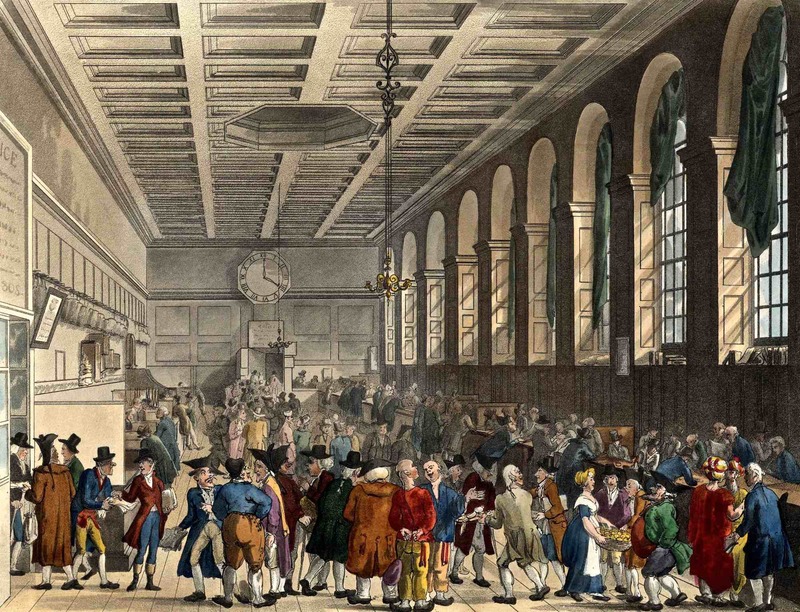 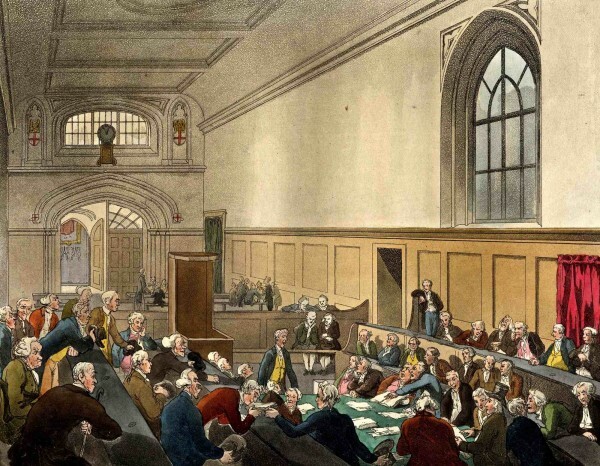 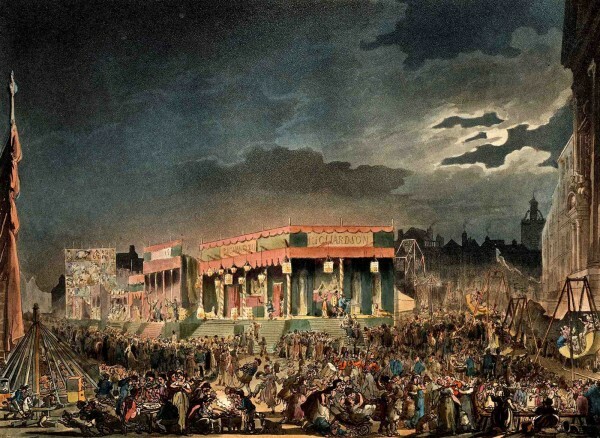 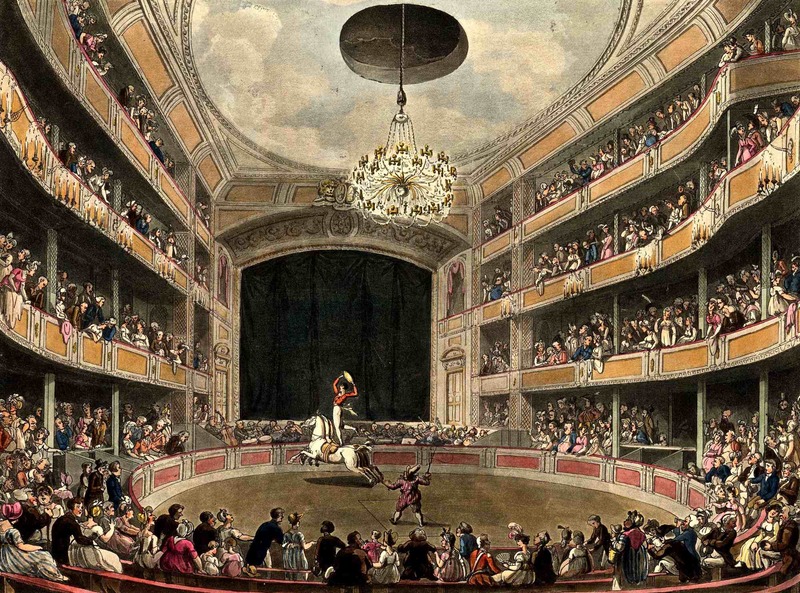 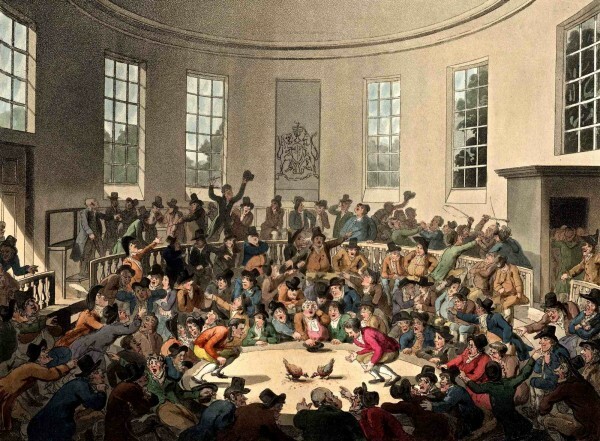 In only a few plates – such as Carlton House and the House of Commons – does Thomas Rowlandson submit to the requirement of peopling these spaces with slim well-dressed aspirational types that we recognise today from those familiar mock-ups used to sell anonymous cheap architecture to the gullible. 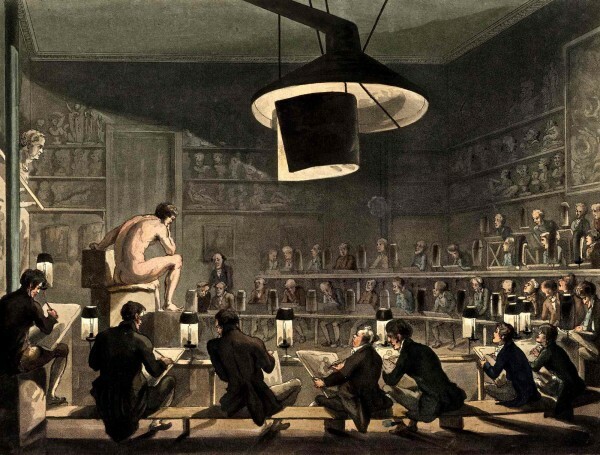 Yet the most fascinating plates are those where he has peopled these rationally conceived public spaces with the more characterful and less willowy individuals that illustrate the true diversity of the human form and satisfy our voyeuristic tendencies, celebrating the grotesque and the theatrical. In Billingsgate Market, Rowlandson takes a composition worthy of Claude and peoples it with fish wives fighting, showing affectionate delight in the all-too familiar contrast exemplified by aspirational architecture and the fallibility which makes us human. Text extracts by William Henry Pyne.